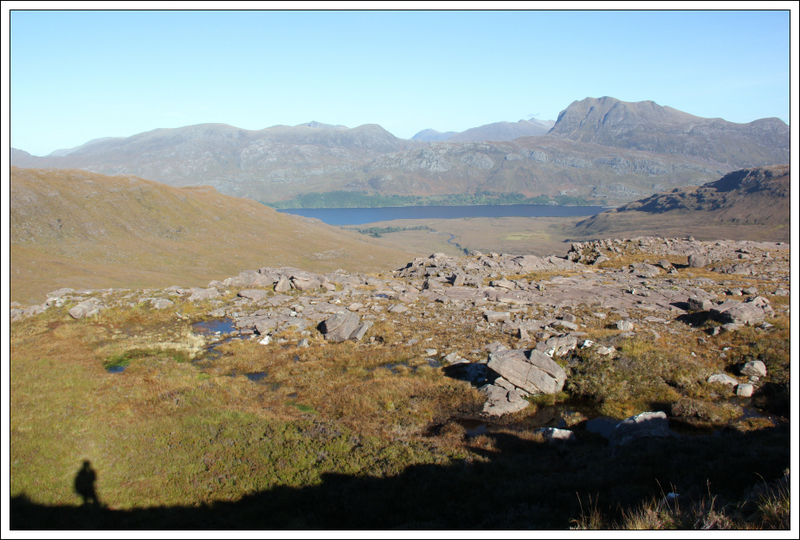 The weather forecast for the North-West Highlands yesterday was negligible wind; no rain; almost all hills free of cloud; bright sunshine. I wasn’t originally planning to go walking yesterday but this forecast was too good to waste. On a really good day, it is worth doing a really good hill. 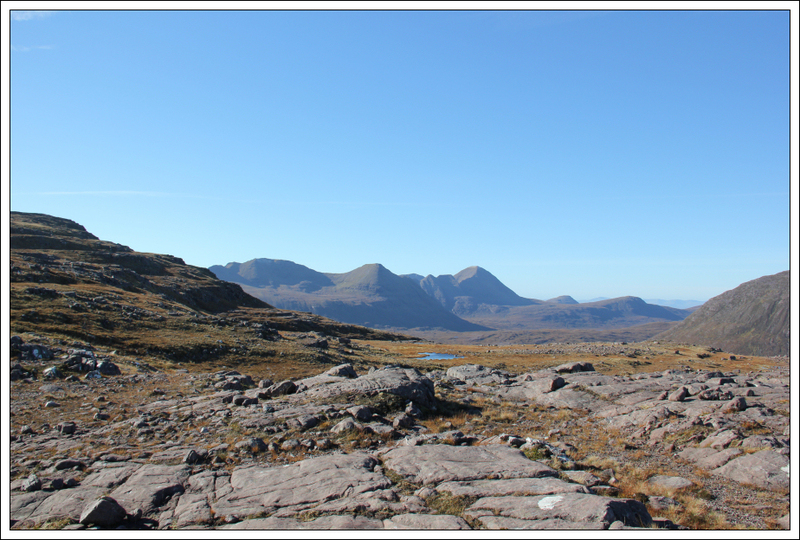 It had been my intention to keep Beinn a’Chearcaill in Torridon as my final Graham, assuming I ever get round to completing all the other ones first! 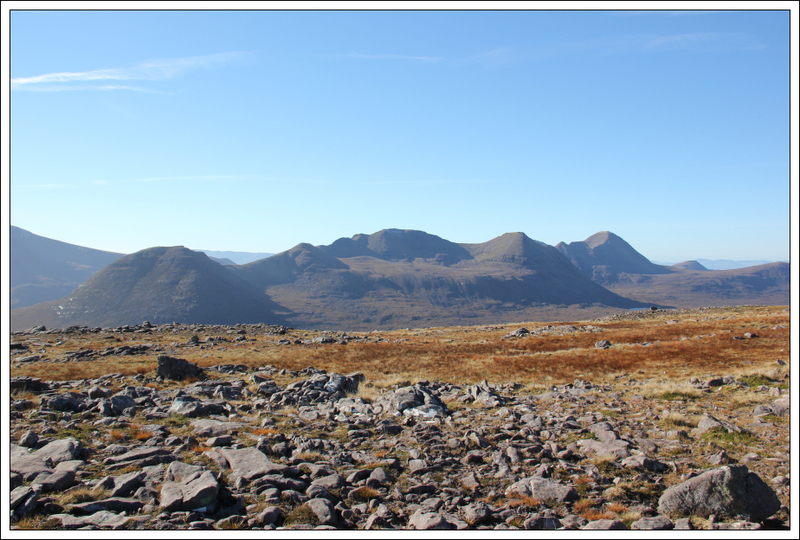 A change of plan yesterday allowed me to undertake this outstanding hill on what turned out to be an outstanding day. 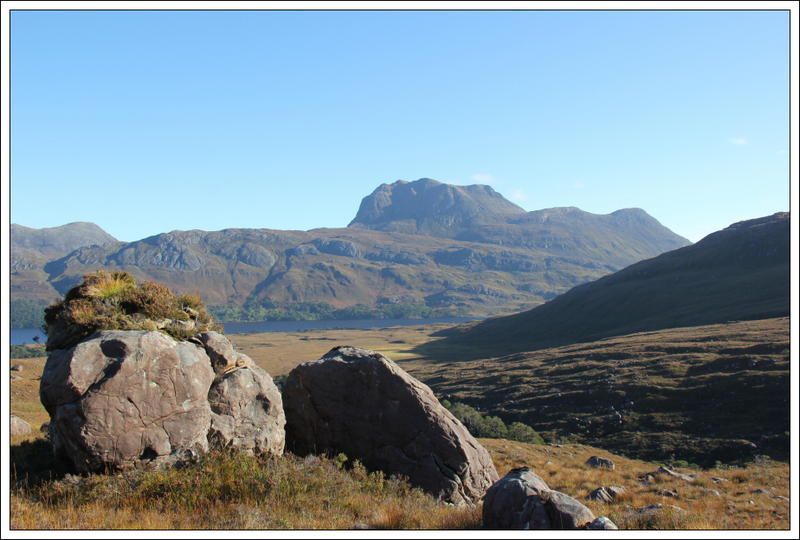 From home I drove to Kinlochewe and then along the A832 where I parked just off the road circa 0.5km North of Bridge of Grudie. 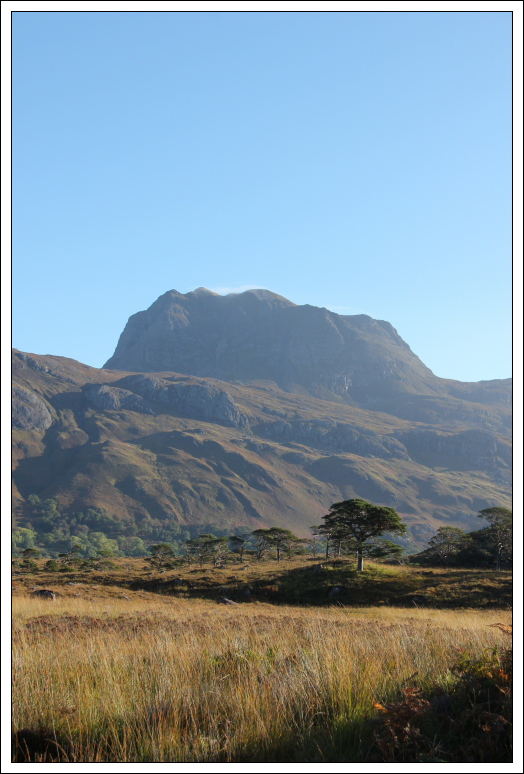 I stopped to take several photos as I walked back along the A832 towards the start of the path. 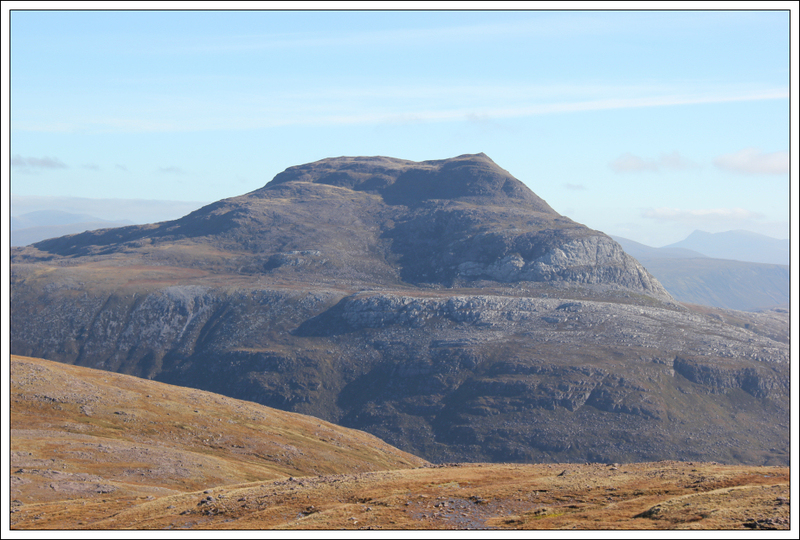 Slioch is a fantastic hill. 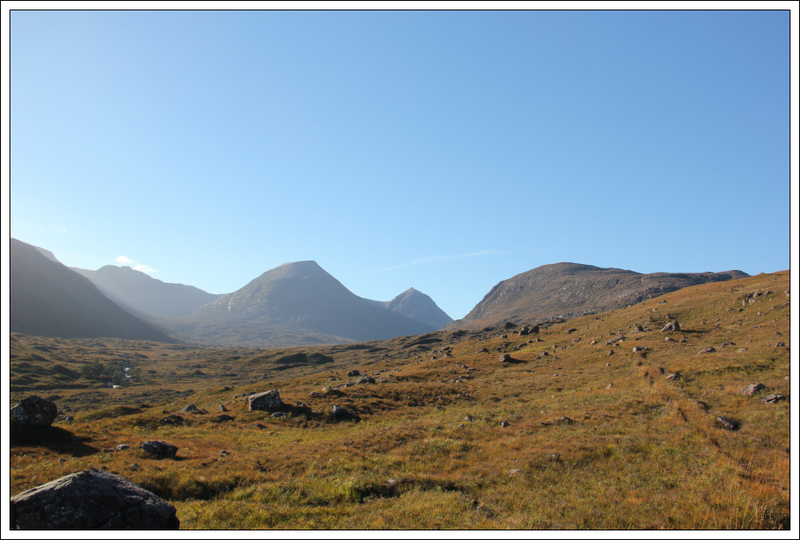 On passing the cottage at the start of the path an elderly gentleman came out to enquire about where I was going, advising that there would be stalking taking place along the glen. However, we both discussed our plans and come to a mutual agreement. 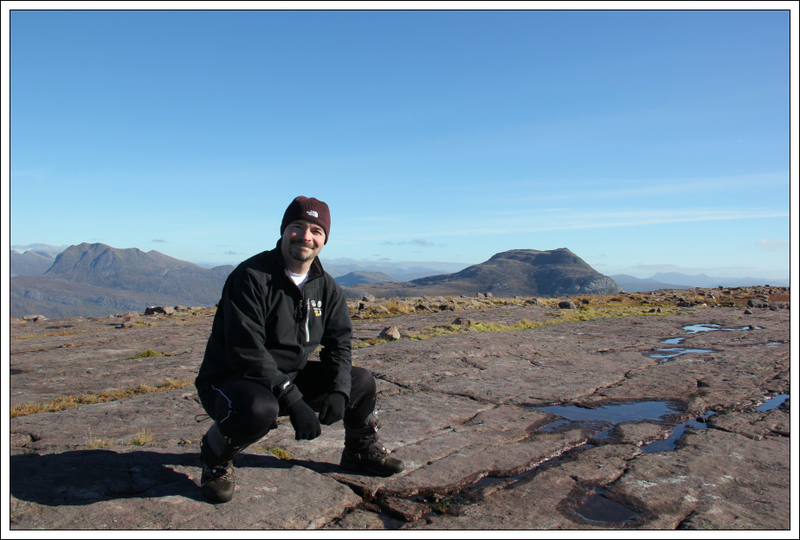 I was asked if I could ascend Beinn a’Chearcaill via Coire a Briste which was my intended route anyway. This was a thoroughly pleasant encounter unlike some of the more confrontational encounters I have had with other estates. 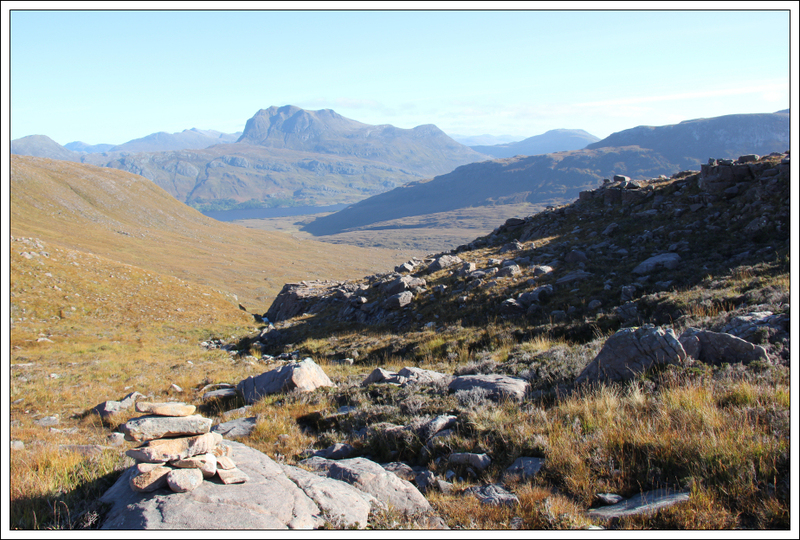 Following our pleasant chat I continued along the path towards Beinn a’Chearcaill. 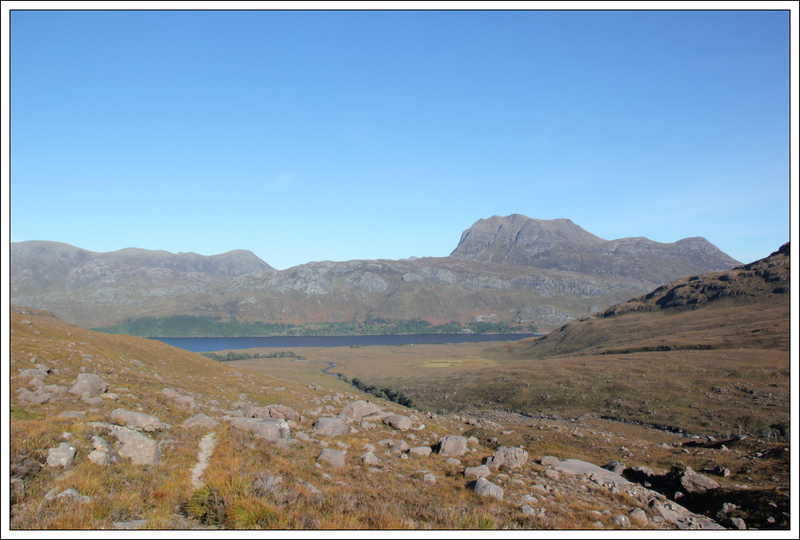 I took numerous photos looking back towards Slioch during the walk in. 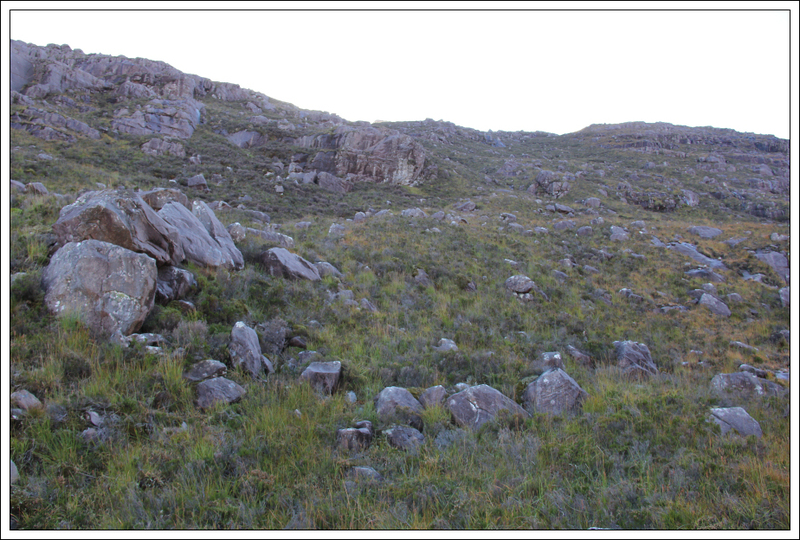 After walking circa 2km, I reached a cairn marking a path junction. 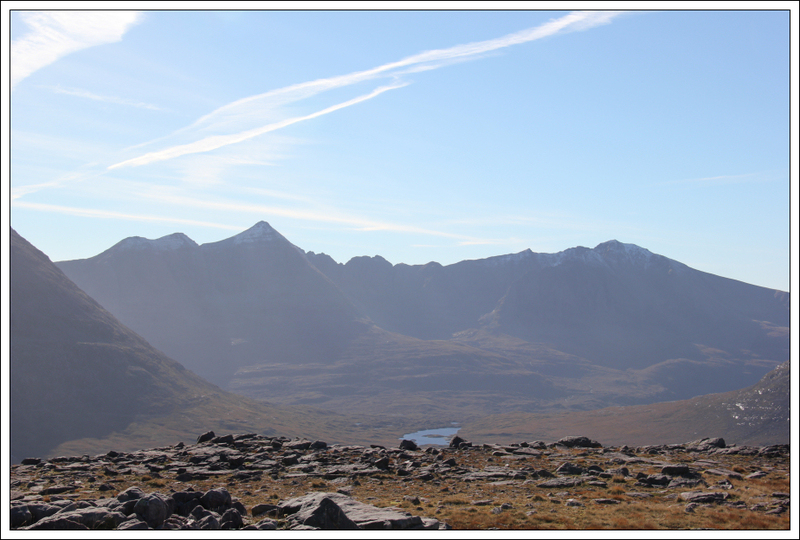 I took the path heading up towards Coire Briste. 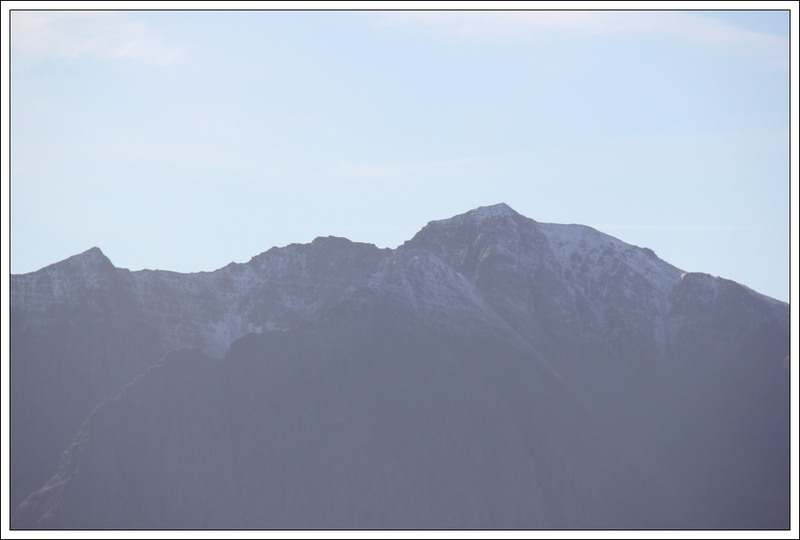 Although the weather was fantastic, it was not ideal for taking photographs. 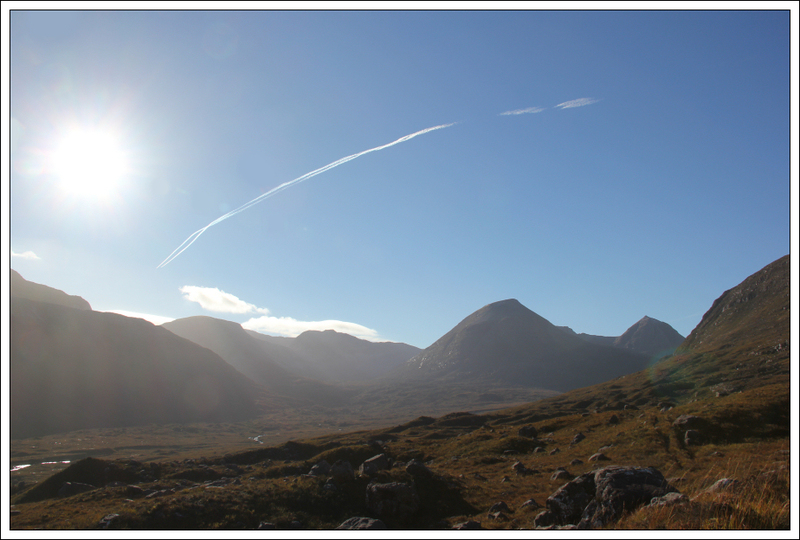 The sun was sitting above Beinn Eighe and Liathach so getting photos of these superb mountains, without lots of lens flare, was quite difficult. 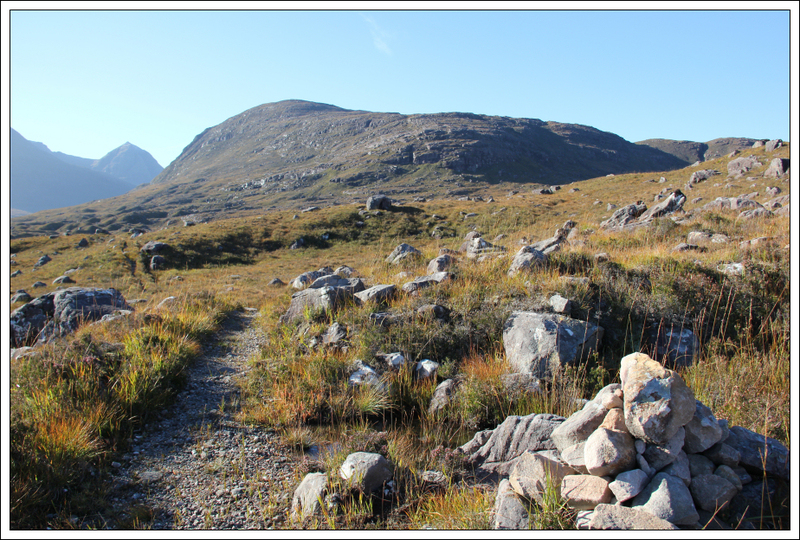 The path skirting round the North side of Coire Briste was fairly good. This is definitely the best way up (and back). 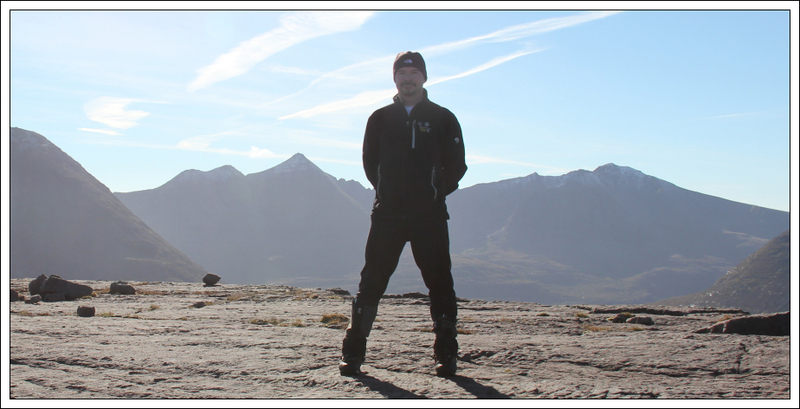 It didn’t take long to reach the top of the coire. 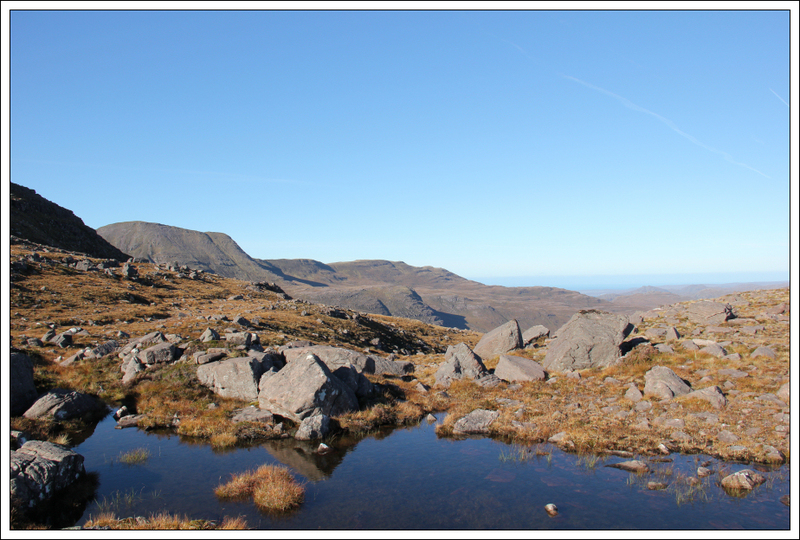 Once above the coire it was just a case of pick out a route towards the summit. 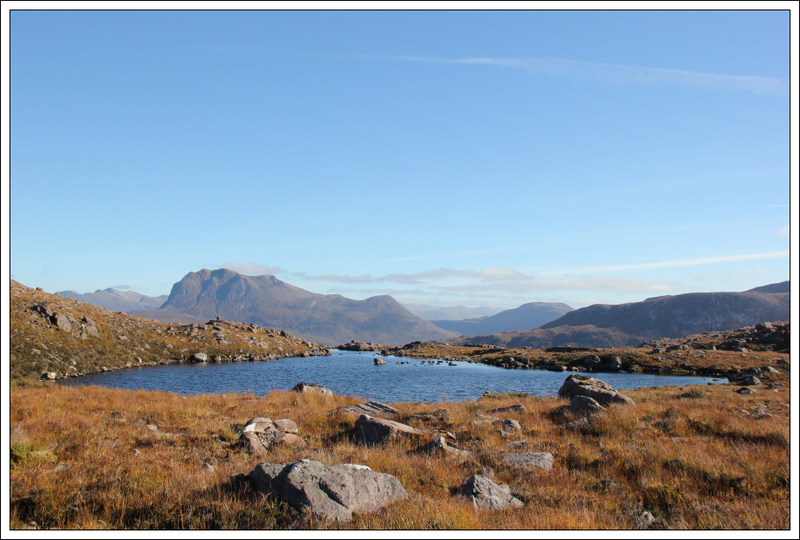 I decided to head round the back of a small lochan to get some photos with the lochan. 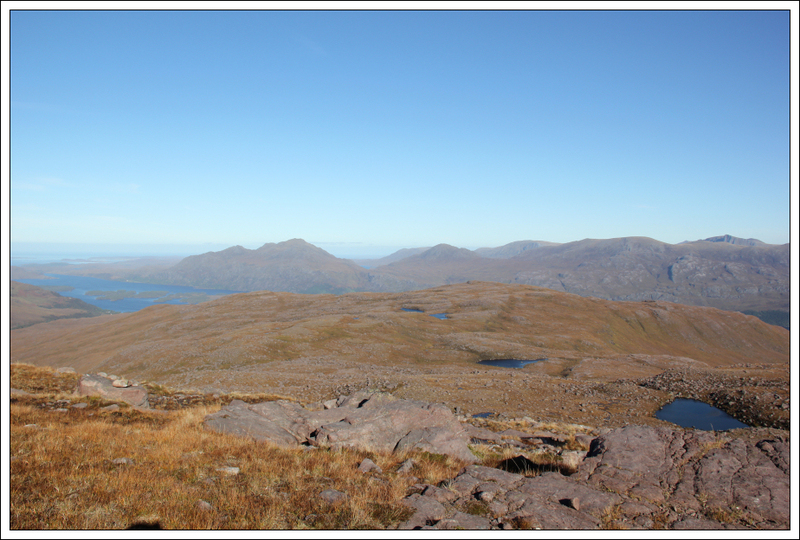 I also decided to take a westerly route in an attempt to get views of Beinn an Eoin and Baosbheinn during the ascent. This route turned out to be really good. 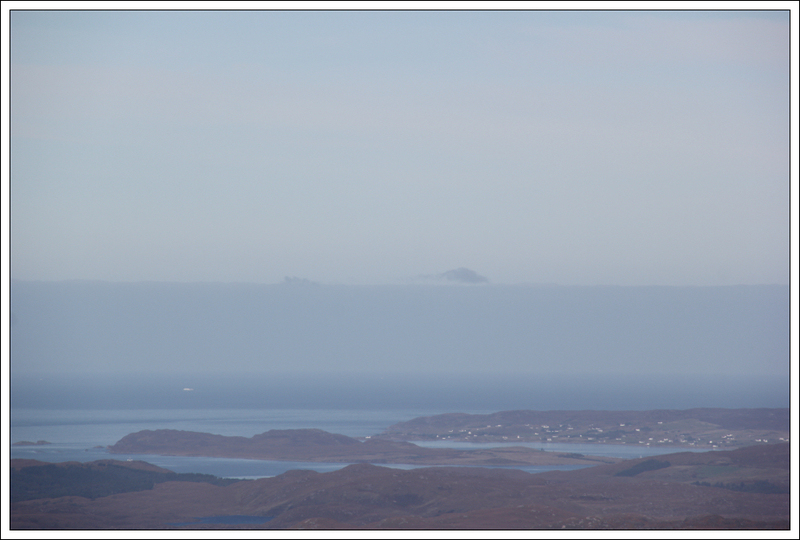 It was sufficiently clear to see across to Lewis and the Shiant Islands. 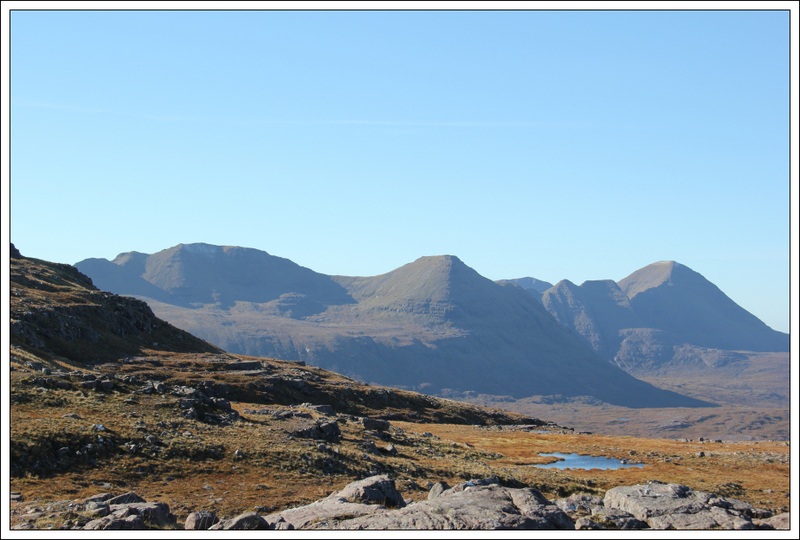 The Letterewe and Fisherfield hills looked fantastic. 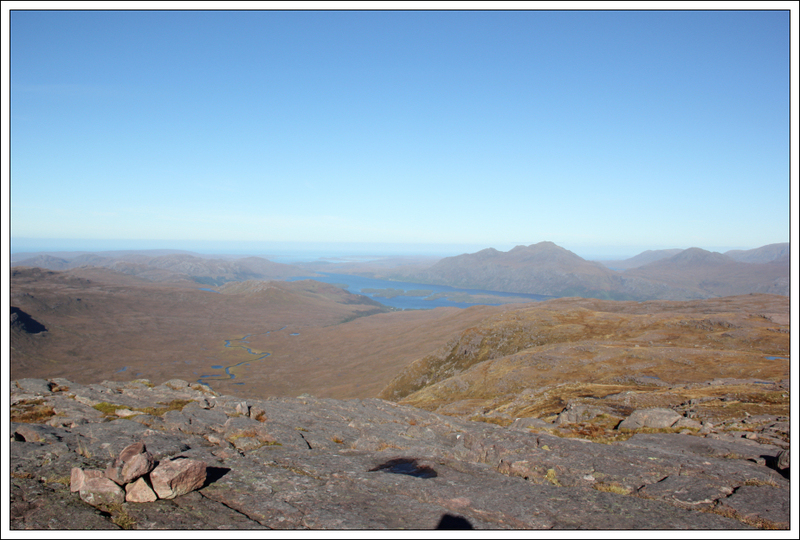 Yesterday would have been a great day to do the Fisherfield six (5 Munros and 1 Corbett!). 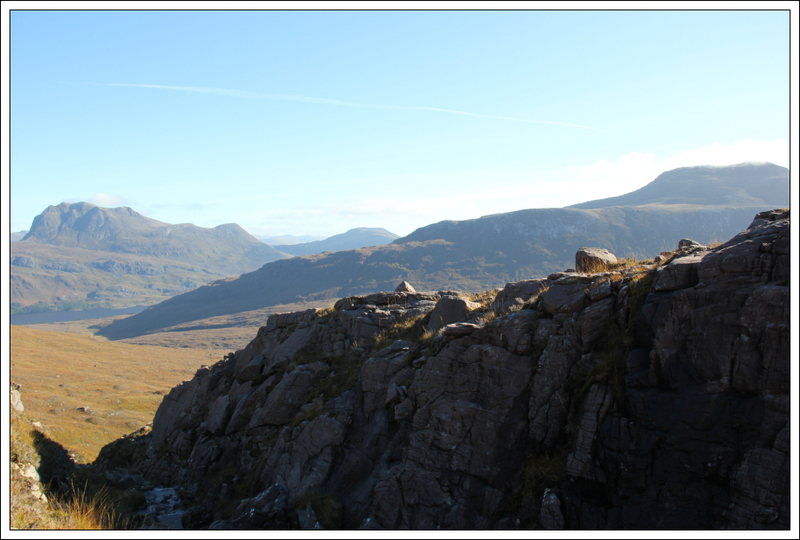 A short distance from the summit of Beinn a’Chearcaill, I stopped to photograph some of the hills to the South – Meall a’Ghuibhais, Beinn Eighe and Liathach. 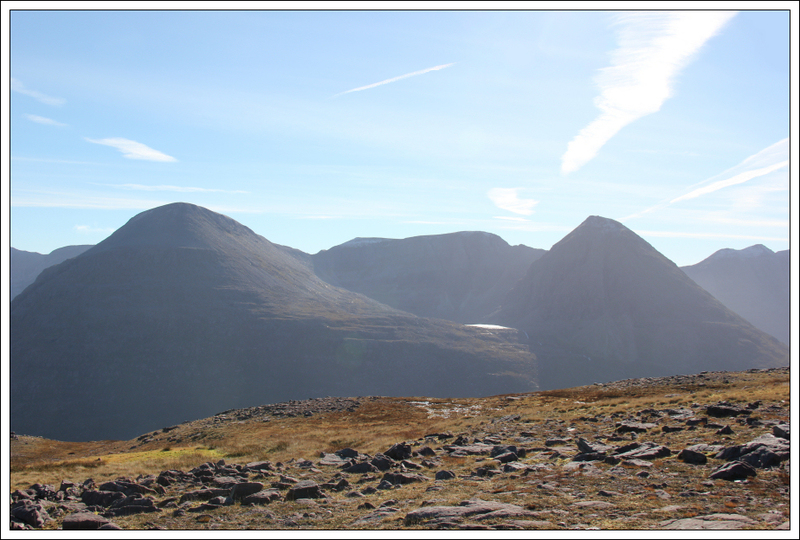 Coire Mhic Fhearchair is one of my favourite places in Scotland. 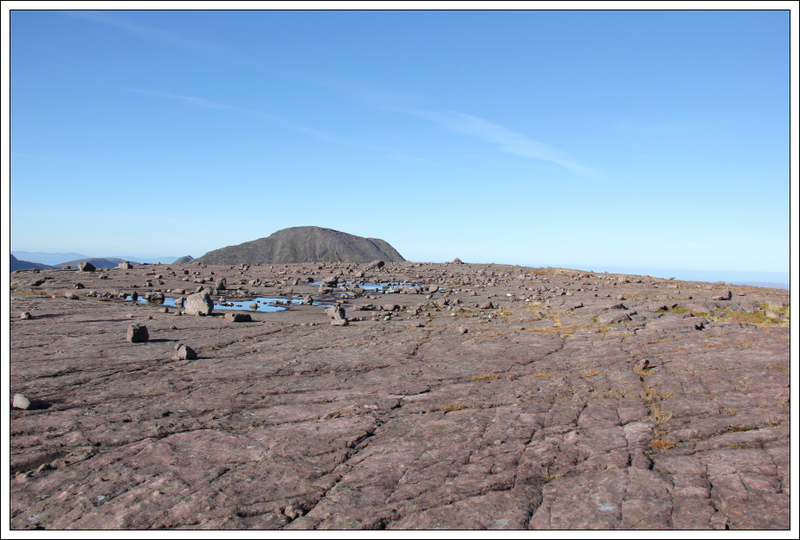 As well as getting amazing views of the surrounding hills it was great to eventually reach the large flat sandstone area marking the summit of Beinn a’Chearcaill. This would be a great place to camp. As I was expecting good weather I decided to carry a tripod with me up the hill. 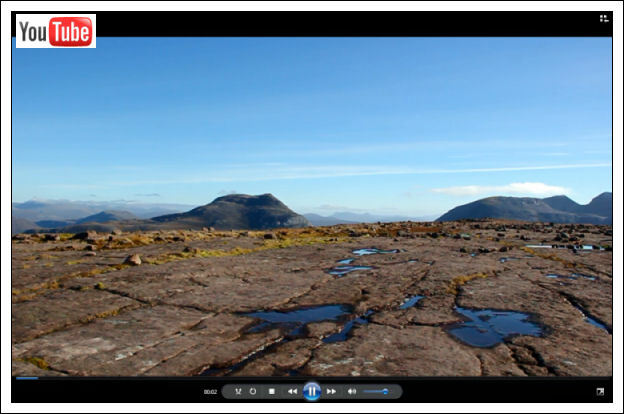 The extra weight was worth it as it allowed me to have some fun taking photos and a videoclip at the summit . 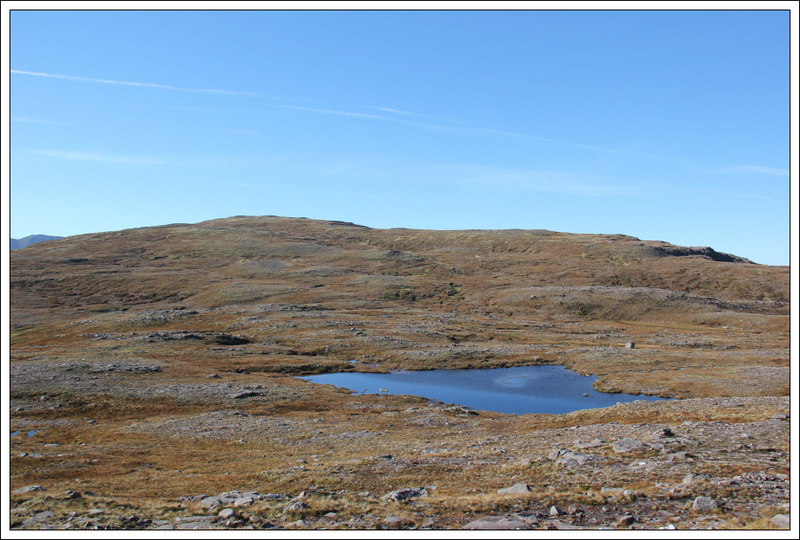 After spending 20-30 minutes at the summit enjoying the views, I decided to return via Creag na Feol. 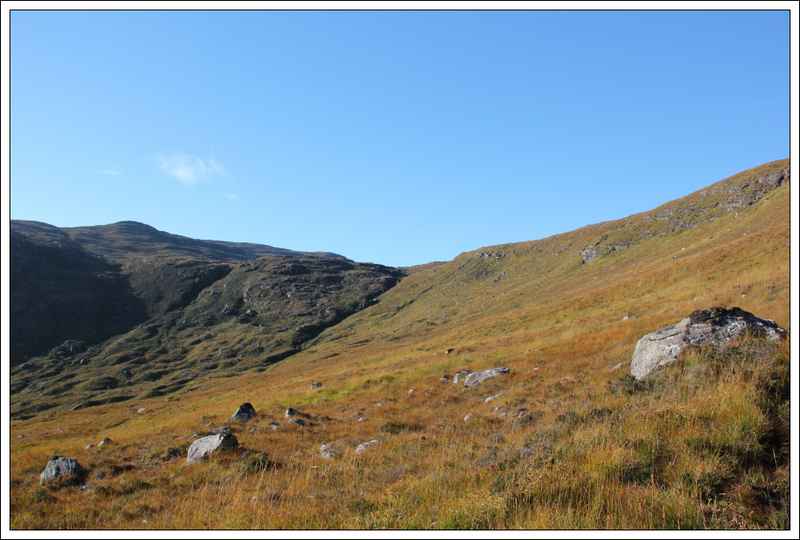 The walk out to Creag na Feol was straight-forward. 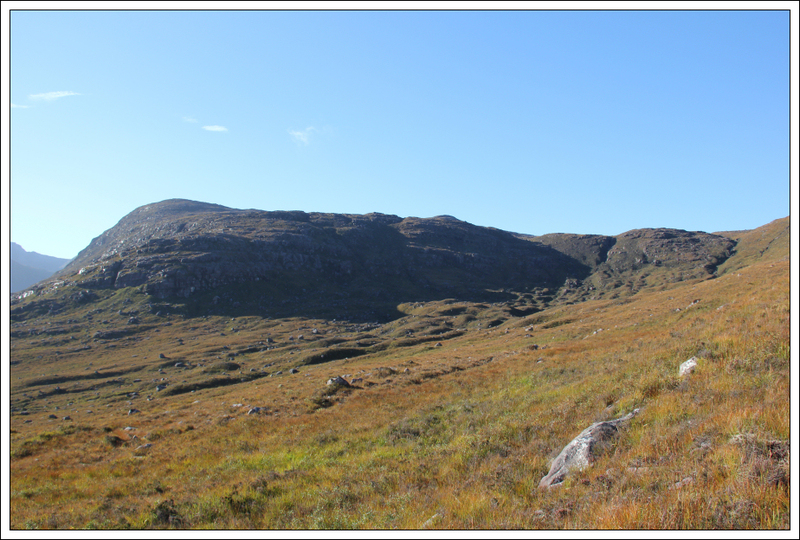 However, the descent from Creag na Feol was not so straight-forward. I ended up descending steeply through long heather. This wasn’t a nice descent route. 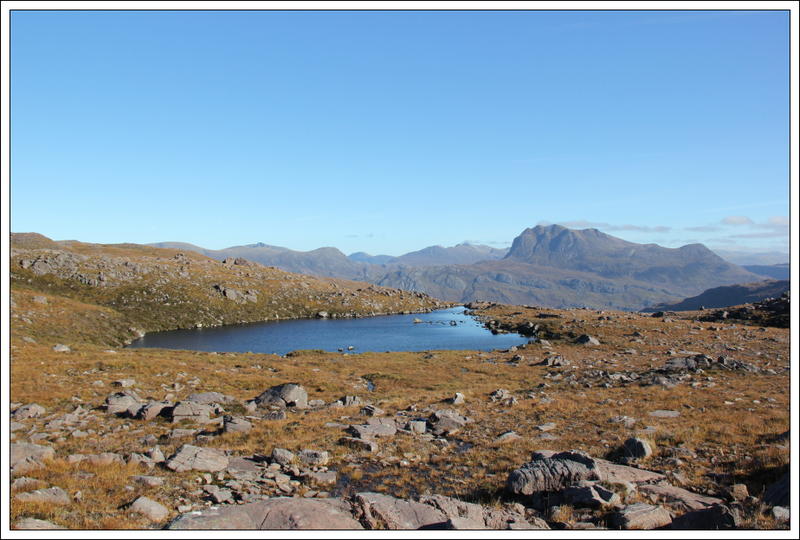 Eventually I made it down to the bottom of the coire and then followed the path back out towards the A832. 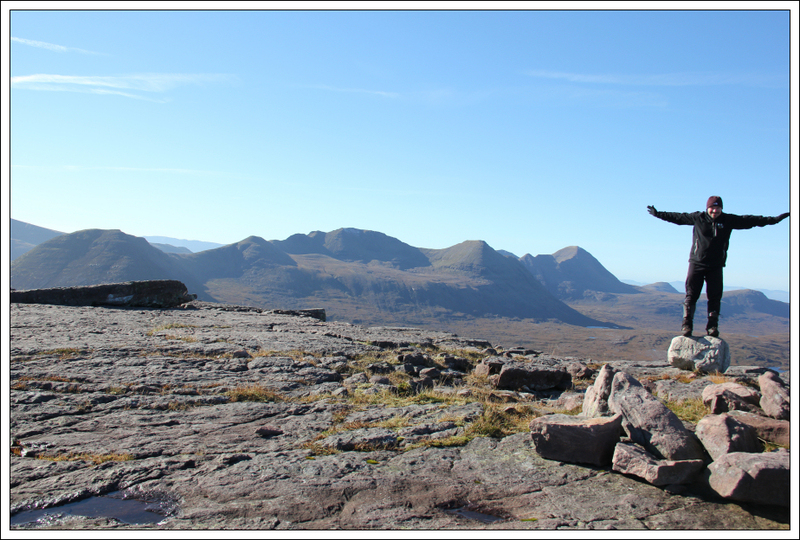 A really enjoyable day up a superb wee hill that is an outstanding viewpoint .